In the course of a baseball season it’s easy to forget that the twentysomethings on the field aren’t the only ones chasing their dreams of reaching the major leagues. For many coaches, the same drive and passion for the game of baseball that had them reach the major leagues once before as a player is still there as a coach. Their goal and path is not that much different from the players they tutor on a daily basis. They use the minor leagues to hone their craft, rise up through the system, and hopefully one day work at the highest level. But what are the chances that a minor league skipper like Matt LeCroy can get back to the majors as one of only 30 managers in MLB? Unfortunately for LeCroy, the odds aren’t in his favor and it has nothing to do with his baseball acumen or his leadership in the clubhouse. Reviewing the last fifty years of data, there have been 241 men who’ve managed in the Eastern League. Only 46 of those have gone on to manage at least one game in the major leagues. Ten men have only held the position on an interim basis and have never been fully given the reins. So really that makes 36, or 15% of all Eastern League skippers, have been full-time managers at the MLB level. 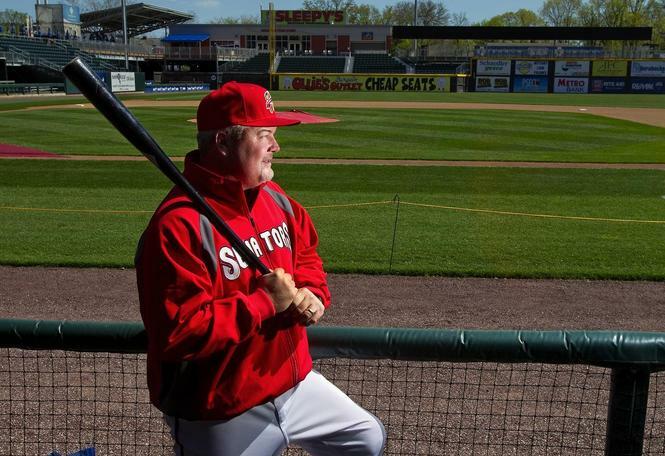 For every Earl Weaver and Bobby Cox that have come through former Eastern League towns like Elmira and West Haven, there are tons of guys like DeMarlo Hale and Dave Machemer who’ve never been given a chance to manage in ‘The Show’. But even if you’ve gotten a shot, that doesn’t guarantee success or a lengthy employment as forgettable managers like John Felske and Tom Runnells can attest. Looking closer at recent history gives an even worse outlook on LeCroy’s chances. The most recent Eastern League manager to helm a major league club is Dale Sveum who skippered the Altoona Curve for three seasons between 2001 and 2003. Since then, there have been 60 men who have managed in the Eastern League and not a single one has gone on to manage in the big leagues. Many have indeed been promoted such as bench coaches Mark Parent and Randy Knorr or base coaches Juan Samuel and Arnie Beyeler. But it’s pretty astounding to think that none of the managers during the last ten seasons have gone on to reach the pinnacle of their profession…yet. I say yet because delving into the numbers even deeper reveals another interesting fact: The average time it takes between the first year managing in the Eastern League and the major leagues is 8.6 years. At that rate, LeCroy wouldn’t get his shot until 2020. It would still be a lot better off than Dave Trembley or Joe Morgan who both waited 20 years until they got an opportunity to manage in the big leagues. There are obviously no guarantees. The road is long and frankly not very promising. But one day I hope to see LeCroy at the end of a major league bench calling the shots. This entry was posted in Uncategorized and tagged Arnie Beyeler, Bobby Cox, Dale Sveum, Dave Machemer, Dave Trembley, DeMarlo Hale, Earl Weaver, Eastern League, Harrisburg Senators, Joe Morgan, Juan Samuel, manager, managing, Mark Parent, Matt LeCroy, Randy Knorr. Bookmark the permalink.